The signing of Mesut Ozil and then Alexis Sanchez a year later represented a shift in mentality at the club. Arsenal could purchase world class players and finally win some silverware after nine barren years. 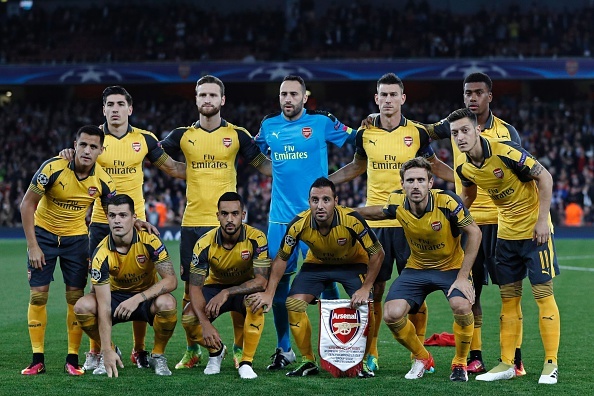 However with both of their contracts in a precarious position, Arsenal and Arsene Wenger should push to retain their services even if it means losing them for free. And I’ll tell you why. Firstly though, let’s rewind a little. Wenger has been in charge of Arsenal for over 20 years. His reign is often divided into two periods by fans: between 1997 and 2005 during which time Arsenal won the league three times and the FA Cup four times and the current one that started in 2005 during which Arsenal had to go through a strict financial policy due to costs of a new stadium which hampered our results in all competitions. However, there is a lot of sense in pointing out that the second period had actually ended in 2013 and the signing of Mesut Özil in September that year was the dawn of a post-austerity period. Signing Mesut Özil wasn’t just proof that Arsenal would be able to spend big money on new recruits. It was also a symbol of a new era in which Arsenal wouldn’t struggle to keep their best players in their peak years, an era in which the sale of Robin van Persie to Manchester United or Samir Nasri to Manchester City wouldn’t have to be sanctioned. 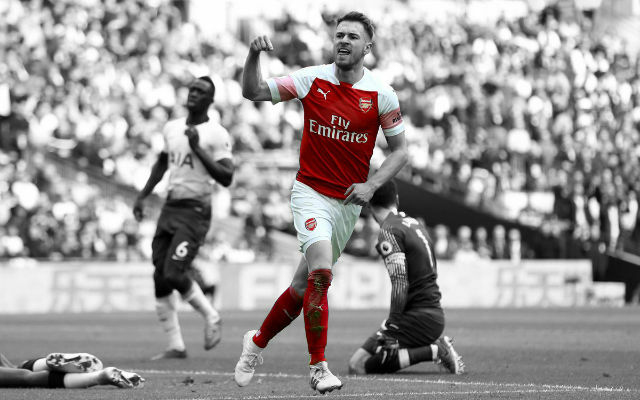 It was the sign of a brand new Arsenal, a club that wouldn’t have to act defensively in the transfer market as the financial shackles were finally taken off. Whilst that point of view was both optimistic and realistic, it neglects the fact that Arsenal have been acting defensively in the transfer market since 1999 or almost a decade before our move to a new stadium. 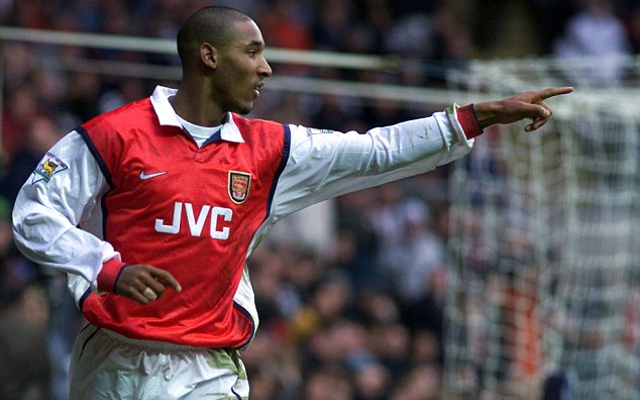 Remember Nicolas Anelka? The French youngster was dubbed Le Sulk by the media. 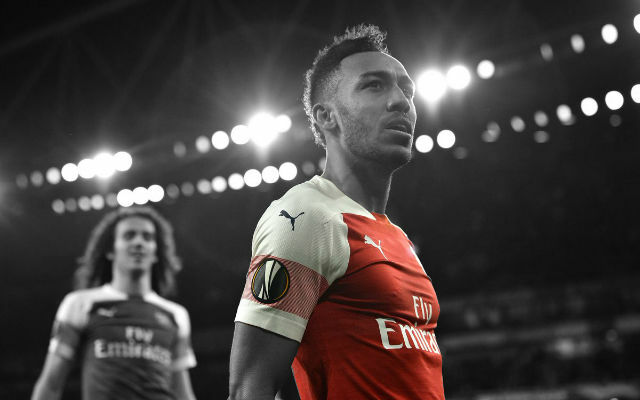 After Arsenal missed out on their first successful title defence post-WW2 by a single point and a 19-year-old Anelka missed the top-scorer award by a single goal, rich European clubs were all over the Frenchman. The milk-rich Lazio had been favourites to land Anelka but he eventually ended up at Real Madrid. Arsenal received 50 times the fee they had paid to PSG in 1997 and reinvested some of that money in some guy who hadn’t been able to find his feet at Juventus. I think his name was Thierry Henry.. Heard of him? In 2000, Barcelona were anxious to spend the world record transfer fee received for Luis Figo from their arch-rivals Real Madrid so they started their annoying habit of buying up Arsenal stars. Marc Overmars and Emmanuel Petit were the pioneers who laid the ground for Gio van Bronckhorst, Thierry Henry, Aliaksandr Hleb, Cesc Fabregas, Alex Song and Thomas Vermaelen in the following years. One of rare transfer victories Arsenal have had over the biggest European clubs was edging out Real Madrid and Juventus in the battle for a certain Robert Pires from Olympique Marseille. In the summer of 2001, the biggest transfer story was Sol Campbell’s arrival to Arsenal but we should not forget how Patrick Vieira almost forced his transfer away. “It would be a miracle if we finish in Top Five“ is not a sentence from Alexis Sánchez’ secret diary but something Vieira said. Alex Ferguson was all over Vieira but Arsene Wenger managed to persuade Vieira to reject all approaches from Manchester United and Real Madrid and sign a new contract with Arsenal instead. 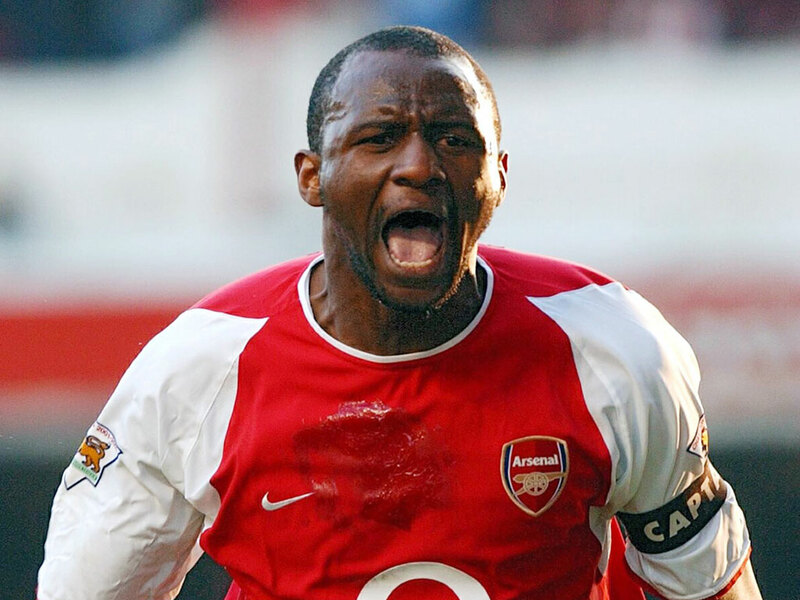 Arsenal won the double in 2001-02 and Vieira eventually became captain of The Invincibles. After Arsenal had to become more careful with money, our defensive formation became even more rigid. Ashley Cole to Chelsea, Kolo Toure, Samir Nasri, Emmanuel Adebayor and Gael Clichy to Manchester City, Cesc Fabregas to Barcelona…were all crowned with the most painful transfer of all – Robin van Persie to Manchester United. The summer of 2013 was the first in which Arsenal didn’t have to worry about losing their best players. Mesut Özil was the brightest talent in a fantastic German team that would eventually conquer the world and arguably the second best Real Madrid player after Cristiano Ronaldo. 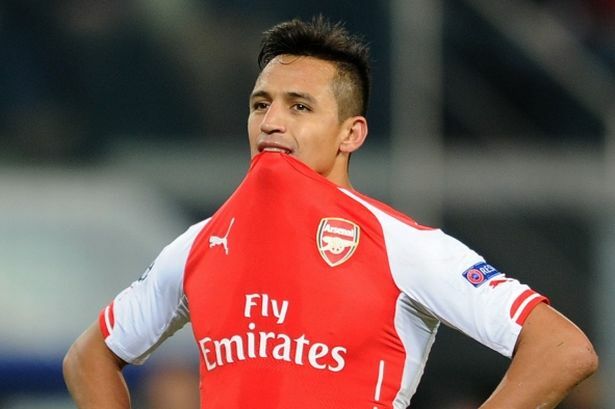 In 2014 we got Alexis Sánchez, one of the best South American forwards in Europe, who was signed from Barcelona which also added an exciting proposition that we finally were able to pick up some of their players. In truth, both Real Madrid and Barcelona sold Özil and Alexis respectively to fund transfers of superstars (Gareth Bale and Luis Suarez) that would help them to win the Champions League. In fact, since Mesut Özil’s departure, Real Madrid have won the Champions League twice and Barcelona have done it after replacing Alexis with Suarez. On the other hand, Arsenal have won the FA Cup and Community Shield on two occasions, haven’t been able to progress beyond the round of 16 in the Champions League and have failed to win the league even with two world-class players. Right now, the situation surrounding Özil and Alexis is not looking positive as the German is completely out of form and Alexis seems to be on a different wave-length from the rest of the team and the manager. Both players will soon be entering the final year of their respective contracts. So, is there really a reason why Arsenal should stick with Özil and Alexis beyond next summer? The answer is, quite simply, yes. Here are a few reasons why. 1.Selling them to rivals would be a double blow. Losing both/either Özil and/or Alexis to any of our league rivals would be a major disaster as our rivals would get a player that is already adjusted to the Premier League and anxious to win the competition. We have already seen Van Persie and Fabregas winning the league with Manchester United and Chelsea respectively with those two players adding a new dimension to their new clubs. 2. Selling them anywhere would turn out to be extremely expensive for us. Even if we avoid the trap of selling Özil and/or Alexis to our rival clubs and sell them elsewhere (Real Madrid, Barcelona, PSG, Bayern, Juventus or China), we would still need to find replacements. And, let’s face it, you don’t exactly find players of Özil and Alexis’ quality on the shelf at your local supermarket. We would have to pay a premium price for their replacements and the wages for the new recruits would hardly be below £200,000-per-week…Each. Add all the other expenses that a player registration entails and it’s virtually impossible that Arsenal would get both a positive financial balance and adequate replacements for Özil and Alexis. 3. Selling them anywhere would send the wrong message to all transfer targets. Let’s face it: most top players want to play next to other top players as it makes their quest for trophies easier and all of them want a top wage. It’s easy to say: “Let’s sell Alexis and buy Antoine Griezmann as his replacement“ but real-life football doesn’t work that way. My guess is, Griezmann or any other player of his caliber would be reluctant to join a club that sell their best players regardless of the circumstances. With no disrespect to any of our players, you don’t respect Arsenal for Theo Walcott’s consistence, Kieran Gibbs’ right foot or Francis Coquelin’s creativity. 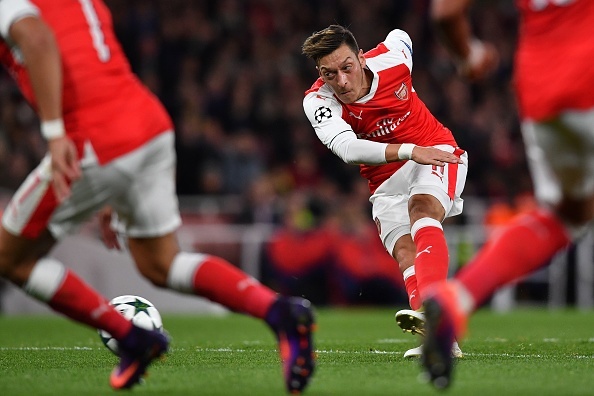 You respect Arsenal because of Mesut Özil’s perfect passes and Alexis Sanchez’ goals. 4.There are number of examples of how difficult it is to replace world-class players. Massimiliano Allegri has been linked with Arsenal for months but it would be really great if Arsene Wenger asks him about losing two world-class players for peanuts in the same transfer window. 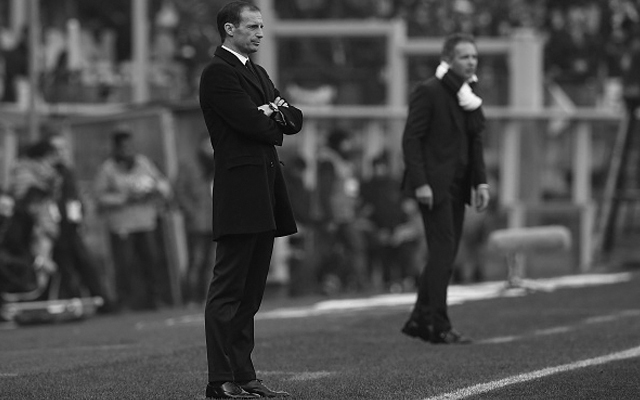 Allegri was at AC Milan in the summer of 2012 when Thiago Silva, arguably the best central defender in the world at the time, and Zlatan Ibrahimović, arguably the best striker in Serie A at the time, were sold to PSG. AC Milan didn’t get much money for the world-class duo (the combined fee was smaller than what Liverpool paid for the likes of Stewart Downing and Andy Carroll) and, what is even more important, were unable to find the right replacements for either. As you might have noticed, AC Milan have been absent from Champions League football for some time and even if they have made a few strong purchases adding bright talents to their team, they will miss out on Champions League and possibly even Europa League football next season as well. Tottenham and Liverpool had tried to replace Gareth Bale and Luis Suarez respectively with quantity or, as someone once put it, they tried to “sell Elvis and buy The Beatles“ but it hasn’t panned out well. What is even more important, Tottenham losing Bale and Liverpool losing Suarez meant they could not rely on their world-class player to bail them out (yes, I missed a chance for a pun there) by creating a goal out of nothing. Oh, and remember that story of Barcelona and Luis Figo from above? They spent four years after selling Figo without winning the league or any significant trophy before Ronaldinho brought his magic to the Camp Nou. 5. Perhaps it’s time to do “The Lewandowski“ on Alexis and Özil. Yes, there is always a possibility that keeping a player in the team until his contract expires will backfire. If you don’t believe me, ask Jürgen Klopp about his decision to stick with Robert Lewandowski for his final year of the contract without any real effect on Borussia Dortmund’s results as Bayern München secured the league title come March anyway. 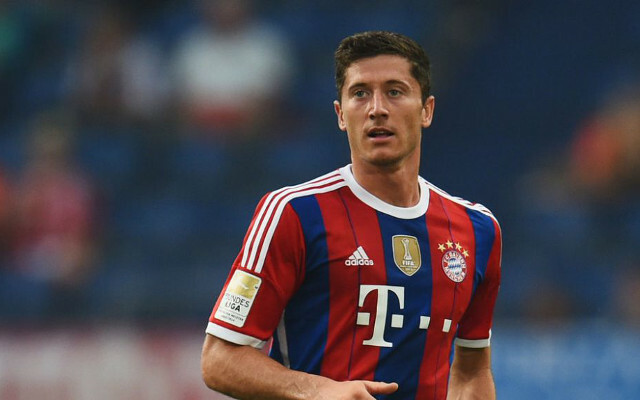 Lewandowski saw out his contract with Dortmund and signed for Bayern. Klopp got zilch for him. Fortunately for them, they had already signed Pierre-Emerick Aubameyang so they found a replacement for Lewandowski while the Polish striker was still in black and yellow. However, for every Lewandowski there is a Van Persie case. Wenger decided to sell a 29-year-old and injury-prone Van Persie, who had entered his last 12 months, to Manchester United in order to get some money for new signings. 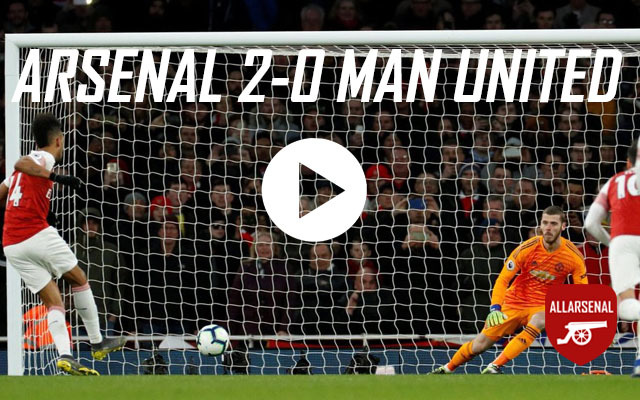 Van Persie responded by dragging Manchester United to the title all by himself scoring crucial goals in their victories over Arsenal, Chelsea, Liverpool and Manchester City while the Gunners struggled to score in big matches. It’s true that Arsenal are bigger than any player and that wild player demands should not be fulfilled. 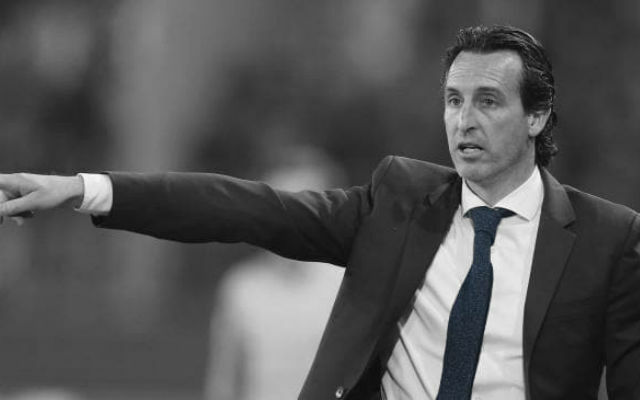 However, if Arsenal want to be a big club that want to keep pace with other big English and European clubs, we have to act like one and try to have as many world-class players as possible. 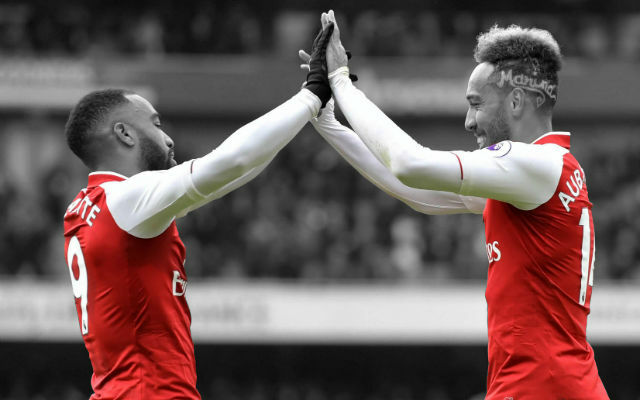 Right now, there is no better way to make a statement by not only holding onto both Mesut Özil and Alexis Sánchez but also adding at least one more player of their caliber to our ranks. If we keep Mesut and Alexis beyond next summer and add, say, Romelu Lukaku to our attack, we’d have a battering R(omelu)A(lexis)M(esut) to torment all our opponents!